In this video Anne Carson (b.1950) starts by introducing her book Nox from 2010 and by reading Catullus’ poem 101 in latin. 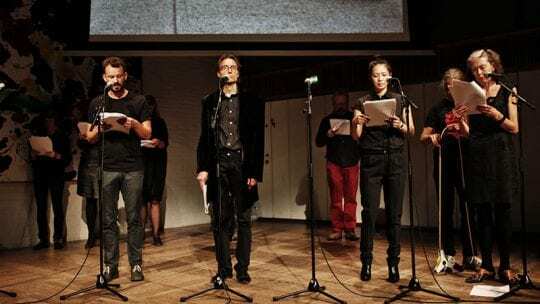 Anne Carson’ asked Danish poet Pejk Malinovski to read some parts of Nox in the Danish translation. Nox means ’night’ in latin. The book is a foldout of letters, photography and poems, shaped as a dialogue with Roman poet Catullus, who wrote an epitaph for his brother, too. Nox is regarded as one of Carson’s most outstanding works. Recorded at the Louisiana Literature festival, August 2012.